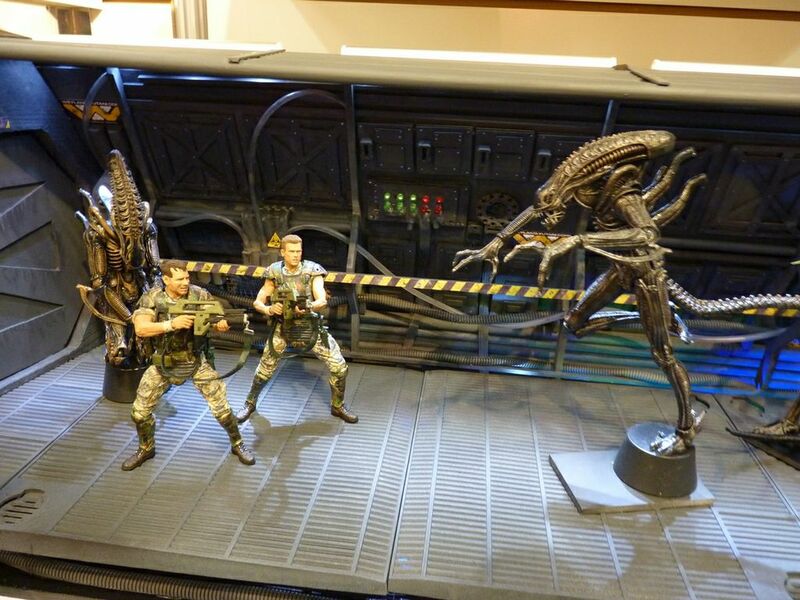 NY TOY FAIR: Aliens Series 1 & Marines vs. Aliens 2-Packs! You are here: NECAOnline.com » Licenses » Movies » Alien » NY TOY FAIR: Aliens Series 1 & Marines vs. Aliens 2-Packs! Spring marks the debut of our Aliens Series 1 7″ Action Figures, set to include Colonial Marines Hicks and Hudson and a brand new Warrior Alien. 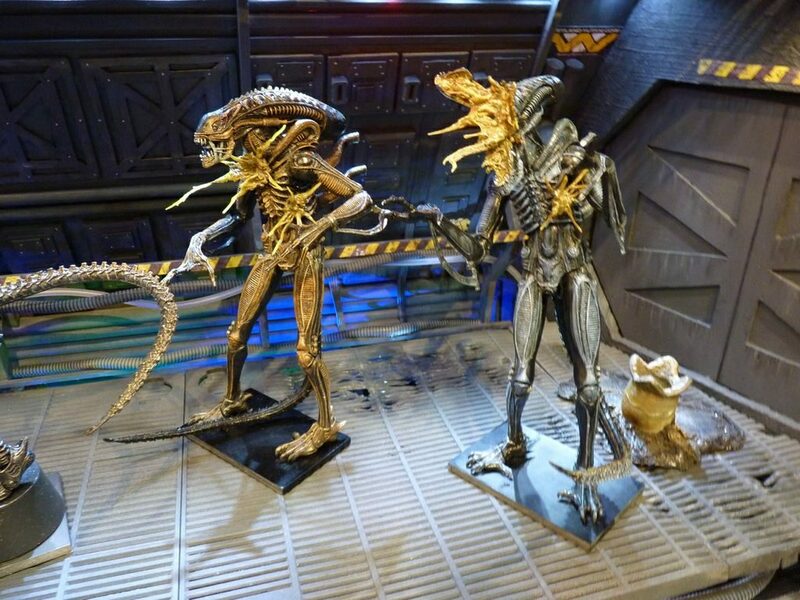 Hicks and Hudson stand nearly 7″ tall and feature over 30 points of articulation!! The marines include signature weapons including the pulse rifle, shotgun, welder, motion tracker, and shoulder lamp. Incredibly detailed and photo realistic portrait sculpts are sure to impress. The all-new Aliens Warrior which stands over 9″ tall and has over 30 points of articulation including a bendable tail, hinged jaw, and sliding inner mouth. This version of the Warrior features the brown costume highlights and a glossy wet appearance. This summer, you can expect Aliens Series 2, as well as special Marines vs. Aliens 2-Packs! Because when it comes to taking out vicious, acid-for-blood killing machines, only the finest of military outfits can be up to the task. We’ll have more news and closer looks at all our upcoming Aliens figures very soon! In the meantime, drop us a line with your best Hudson face on Facebook, Twitter or G+!